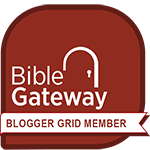 The Bereans: Who Was Timothy? Last week I wrote about Silas, and before that I devoted three posts to Paul. There’s one more major figure who appears in Acts 17, and that individual is Timothy. Today we’ll take a look at him, “reading between the lines” a bit to gain some insight into the role he played in the chapter. 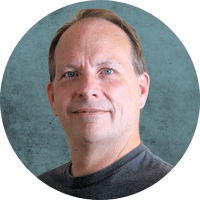 We first meet Timothy soon after Paul and Silas set out on Paul’s second “missionary” journey. In fact, Luke (the author of Acts) had barely begun his account of the second journey when he reveals three important facts about this young man. First, he was already a disciple; second, he was half Jewish and half Greek; and third, he was highly respected (Acts 16:1-2). The fact that Timothy was already a disciple when Paul and Silas arrived in Derbe and Lystra suggests that Timothy, or at least his mother Eunice and grandmother Lois (2 Timothy 1:5), responded to Paul’s teaching during his first visit to the area with Barnabas (Acts 14:21-23). We do know that even as a child he had “known the sacred writings” (2 Timothy 3:15). Though we cannot be certain, Lystra seems more likely than Derbe to be Timothy’s hometown. One reason is that Paul alludes to his young protégé’s knowledge of “sufferings, such as happened to me at Antioch, at Iconium and at Lystra” (2 Timothy 3:10-11). It was at Lystra, during Paul’s first journey, that he was stoned (Acts 14:19) and left for dead. It’s the next verse that tells us something significant that Timothy may well have witnessed: “But while the disciples stood around him, he got up and entered the city” (verse 20). 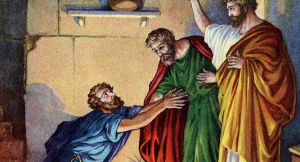 If Timothy, who was quite young at the time, witnessed this “resurrection,” not only would he have knowledge of Paul’s sufferings, but he would have been astonished by this miracle, following so closely on the heels of Paul’s healing of the lame man (verses 8-11). The second fact that jumps out as soon as we meet Timothy is that he is only half Jewish. His mother Eunice was Jewish, but his father was Greek (or Gentile). Smith’s Bible Dictionary suggests that Timothy’s father had died while Timothy was quite young because the father is not mentioned at all in either the book of Acts or any of Paul’s epistles. Such a loss would have left Eunice and Lois unfettered in their efforts to teach Timothy the Scriptures, initially as Jews, but later as Christian converts. The fact that the boy was not circumcised according to the Law (Leviticus 12:3) indicates that there was at least some resistance from the father, who undoubtedly shared the Greek perspective of circumcision as mutilation. 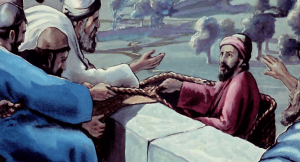 What happens next in the story is puzzling – Paul circumcised Timothy! He did so “because of the Jews who were in those parts, for they all knew that his father was a Greek” (Acts 16:3). What is puzzling is the context. Paul and Silas had barely begun their journey when this happened, and this journey was straight after the “Jerusalem conference,” at which the apostles determined that Gentiles need not be circumcised to become Christians (Acts 15:1-2, 19-21). Ironically, an uncircumcised Gentile named Titus had accompanied Paul and Barnabas to this very same conference. Paul later wrote that “not even Titus, who was with me, though he was a Greek, was compelled to be circumcised” (Galatians 2:3). So why did Paul, who had advocated for the acceptance of Titus and other uncircumcised Gentiles, circumcise Timothy? We don’t know for sure, but it probably stems from Timothy’s mixed background. 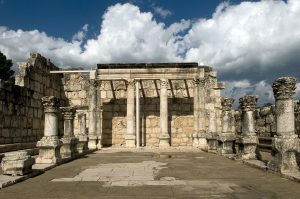 Perhaps Paul believed that for a young man reared as a Jew to be uncircumcised would have made him appear to be unrighteous and unworthy of any ministerial role. Gentiles, on the other hand, came to the table, so to speak, with a clean slate. The third fact Luke brings to our attention as we meet Timothy is that “he was well spoken of by the brethren who were in Lystra and Iconium” (Acts 16:3). In spite of setbacks such as losing his father, and even though he was ethnically mixed in a world in which that could make a huge difference, the young Timothy had acquired a reputation that made him stand out. More than that, Timothy had been the subject of prophecies, as Paul reminds his young protégé years later (1 Timothy 1:18). We do not have much information regarding the timing of these prophecies, so we cannot dogmatically state that they were a factor in Paul’s desire to have this young man join him and Silas on their journey. Whether or not these prophecies were key to the decision to include Timothy in Paul’s work, it is clear that at some point the church as a whole came to understand that Timothy would play an important role in the ministry to the Gentiles. When we look through Paul’s writings, we see that he seemed to have a special affinity for Timothy. In his two letters to Timothy, he addresses the young man as “my true child in the faith” (1 Timothy 1:2) and “my beloved son” (2 Timothy 1:2). In Paul’s first letter to the church at Corinth, he refers to Timothy as “my beloved and faithful child in the Lord” (1 Corinthians 4:17). Of course, Paul also addressed Titus as “my true child in a common faith” (Titus 1:4), but Paul’s special feeling toward Timothy comes out in more passages. 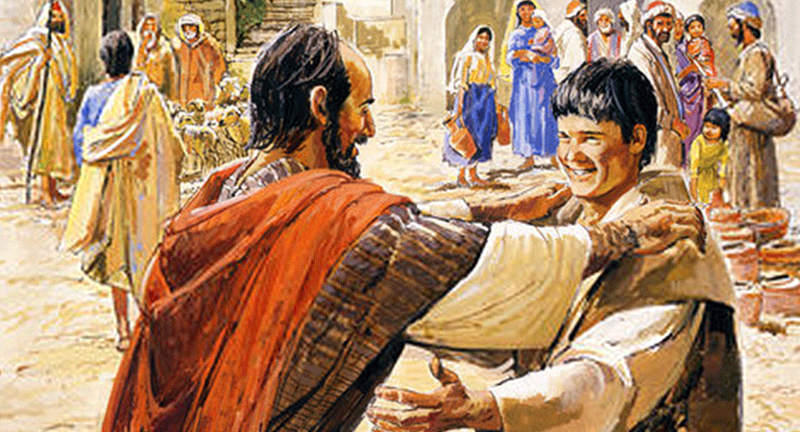 One reason, according to the Encyclopedia of the Bible, is that “Timothy seems to have been one of the most constant companions of the Apostle Paul.” Other individuals came into and went out of Paul’s working ministry, but Timothy seems to have had a special relationship with the apostle. One reason may have been the youth of Timothy, who had to have been quite young when he first set out with Paul. We know this because Paul, as much as a decade later, still considered his protégé young when he advised him not to let anyone “despise your youth” (1 Timothy 4:12). There may have been more to the story, though. According to the Encyclopedia of the Bible, when Paul addresses Timothy as his “true child” and “beloved son,” he also uses terminology that suggests Paul saw in Timothy a man who would continue his mission. In essence, Paul may have viewed Timothy as his successor. Now we can take a look at the objective of our Bible study, chapter 17. Timothy is not mentioned until Paul is forced to leave Berea. We are told that “Silas and Timothy remained there” (verse 14). Strangely, though Paul had circumcised Timothy so that he could be of benefit to him and Silas in their efforts to preach the gospel (Acts 16:3), we read nothing of the young man between this act and the reference to him remaining in Berea. Luke does not mention Timothy as he describes Paul and Silas being beaten with rods and imprisoned in Philippi (Acts 16:12-40), nor does he speak of the young man becoming a target of the mob at Thessalonica (Acts 17:1-10) that had forced Paul and Silas to flee to Berea. The fact that Timothy remains in Berea with Silas as Paul goes to Athens tells us that he had been with the group all along. So why is he absent from the narrative? The Encyclopedia of the Bible suggests his youth as a reason. It may be that the young man, supporting the ministry of the two older men, did not yet play a critical role, one that would have gotten him into trouble with the authorities. In my next post, I’ll begin looking at some of the “minor” characters who appear in chapter 17. In the meantime, let me know what you’ve learned about Timothy. 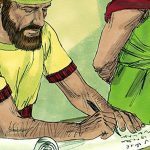 Previous PostThe Berean Incident: Who Was Silas? The Berean Incident: Who Was Silas?